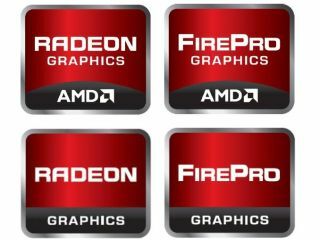 AMD is going to be springing two new series of mobile graphics processors on the market, the Radeon HD 6500M and the HD 6300M. The 6500M is pitched to the top end of the market, for people with multimedia and gaming laptops who need speed, and it offers a processor clock speed between 500MHz and 650MHz with a GDDR5 or DDR3 memory clock speed of 900MHz. For those who find that a bit too high powered AMD will also have the HD 6300M, a slightly stripped-down version that's geared to the mid-range market. It can only support DDR3 memory interface, and the memory clock speed is 800-900MHz with a processor clock speed of 500-700MHz. There are plenty of eye-watering features, such as AMD's famous Eyefinity multi-display technology – with the 6500M you can have up to six simultaneous displays (but only four for the 6300M) – and AMD HD3D and Direct X11. There's no release date or price for either of these as yet.